I would do terrible things to wear one of these confections. On another note, so excited that two of my favorite bloggers won awards at the first ever Bloglovin' Awards! Chiara Ferragni from The Blonde Salad won Newcomer of the Year! 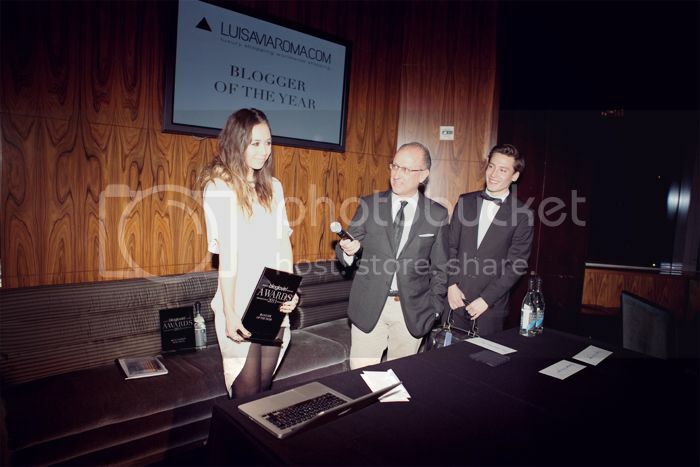 Rumi Neely of Fashiontoast won both Best Personal Style Blog, and Blogger of the Year! Love her, she has also commented on my blog before! "You’ve probably never experienced quite what we did last night at the Bloglovin Awards. Why? Well, for starters last night was the first time it’s ever been done. And to be honest, it was unlike any situation we’ve found ourselves in before. To give you an idea, just imagine being in a confined area (in this case, the Stone Rose Lounge) with all of your favorite celebrities (except in this case they’re all really well-known bloggers), and all everyone wants to do all night is tweet at each other, tote around their personal photographers-slash-boyfriends to take pix of them with their blogger friends and compliment each other’s outfits." Sounds like my idea of a perfect night. Hmm, maybe next year!